HDP Spokesman Saruhan Oluc accused the YSK of setting the opposition up. Turkish opposition figures have come out guns blazing on Thursday, protesting against a decision by the Supreme Electoral Council (YSK) not to issue mandates to opposition mayor-elects who were previously dismissed from their public sector jobs by decrees issued by the Justice and Development Party (AKP) government. The decision was taken even though the candidates had won in the March 31 local election. A statement by the opposition pro-Kurdish Peoples’ Democratic Party (HDP) headquarters condemned the YSK for its ruling. According to HDP, the YSK has become “a part of a designed political conspiracy” with its ruling. “The YSK seems to set [the opposition] up. As if it plays a role of new assigner of [state appointed] trustees in the new term,” said the statement reiterating the AKP’s replacements of 95 HDP mayors with pro-government trustees since 2016. These previously dismissed mayor-elects had already been allowed to run in the election, even if the YSK was aware of their dismissal status while they were applying for candidacy. Muharrem Ince, candidate for the presidency in 2018 from the main opposition Republican People’s Party (CHP), emphasized the same allegedly unlawful aspect of the YSK decision on his social media account. “Imagine a country where it is free [for a candidate] to run in the elections, however, not to win. A condition that was not required before the election, should not be required too in the aftermath. Otherwise, the practice is called “arbitrary”, and yet the country is called “banana republic” [dictatorial country],” argued Ince. Ince also pointed to the contradictory nature of the ruling. The YSK did not issue a similar ruling, when some current MPs, such as Cihangir Islam from the Felicity Party (SP) and Omer Faruk Gergerlioglu from HDP, were elected in last year’s parliamentary election. According to the YSK ruling, the mandates will be given to the candidates who ranked second after the mayor-elects during the local polls. Zeyyat Ceylan, a former teacher who was sacked from public service and later elected mayor in Baglar district of Diyarbakir, told T24 news on Wednesday that the ruling would be deemed invalid by HDP. 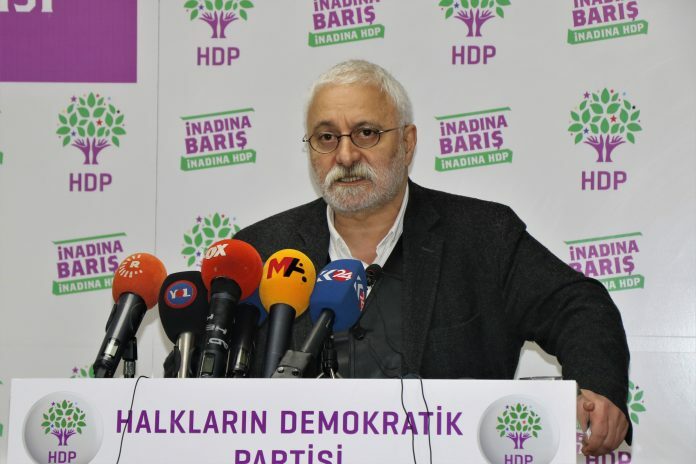 “The public will have been again extorted with a trustee mentality,” claimed HDP’s Ceylan. They would appeal the ruling before the Turkish Constitutional Court and European Court of Human Rights (ECtHR). “This [YSK ruling] is persecution to which we will react democratically. We will react not on a single day, every day,” challenged the mayor-elect. On Thursday, elected co-mayors together with some HDP lawmakers held a protest in front of the Baglar municipality building under police blockade. Following the declaration, HDP fellows have staged a sit-in protest in front of the building. The same day, another sit-in protest was staged in Tekman district of Erzurum. During the protest, Mensur Isik, an HDP lawmaker, alleged the YSK has been turned into an AKP institution.